What is a Stonewall Sporthorse? 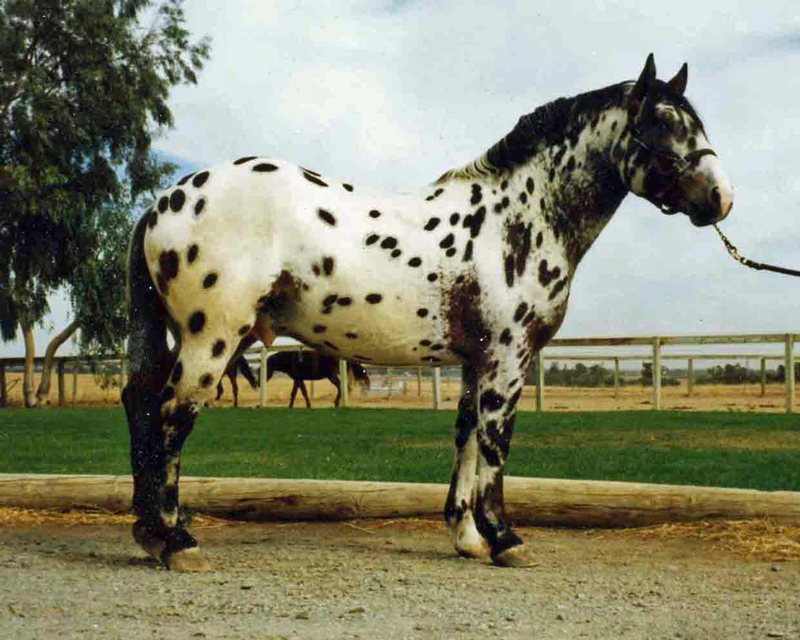 1999 Black Leopard Stallion – Stonewall Rascal x Sugarbush Felina del Noche by Valley Vista Knightime. 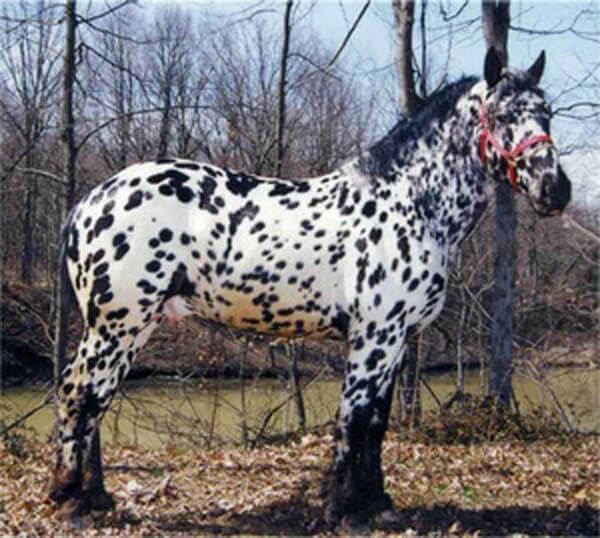 This stallion is seven-eighths pure Percheron and the breed standard for the American Sugarbush Harlequin Draft Association. 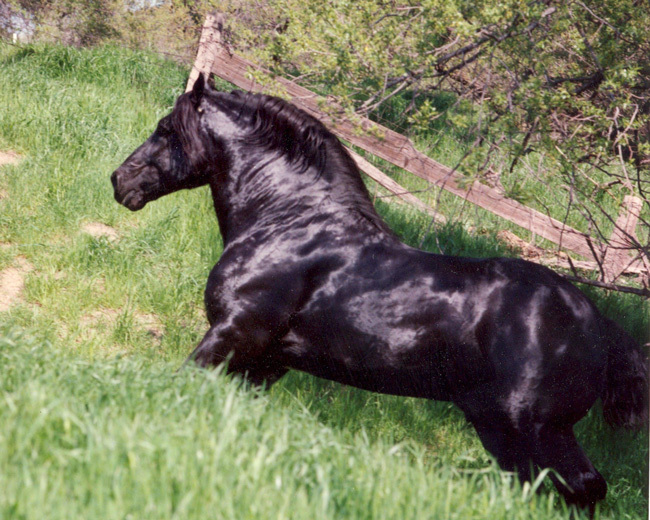 1973 black Percheron stallion – La Prince x Belle’s Beauty by Arnoldwold Crescent Laet. Foundation stallion of the Stonewall Studbook. 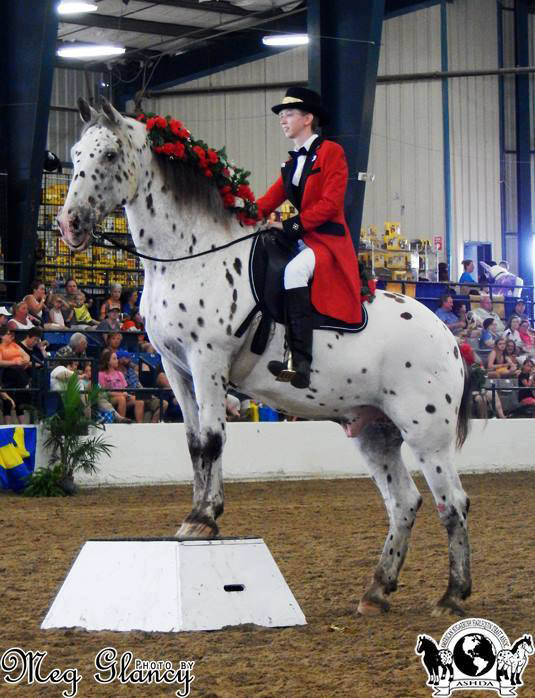 Stonewall Sporthorse Champion Sire. Stonewall Sporthorse Superior Sire. 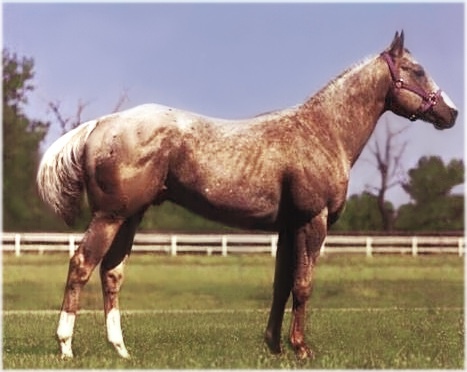 1969 chestnut roan Appaloosa stallion – Double Reigh (TB) x Runaround by Apache 730. World Champion, World Record Setting Racehorse and Sire. Foundation Damsire of the Stonewall Studbook.